LWN.net is a comprehensive source of news and opinions from and about the Linux community. This is the main LWN.net feed, listing all articles which are posted to the site front page. The Mozilla Blog introduces Mozilla's 2019 Internet Health Report. "In the Report’s three spotlight articles, we unpack three big issues: One examines the need for better machine decision making — that is, asking questions like Who designs the algorithms? and What data do they feed on? and Who is being discriminated against? Another examines ways to rethink the ad economy, so surveillance and addiction are no longer design necessities. The third spotlight article examines the rise of smart cities, and how local governments can integrate tech in a way that serves the public good, not commercial interests." In his keynote at the 2019 Legal and Licensing Workshop (LLW), longtime workshop participant Andrew Wilson looked at the past, but he went much further back than, say, the history of free software—or even computers. His talk looked at technological liberty in the context of classical liberal philosophic thinking. He mapped some of that thinking to the world of free and open-source software (FOSS) and to some other areas where our liberties are under attack. Security updates have been issued by Arch Linux (dovecot, flashplugin, ghostscript, and jenkins), Fedora (glpi, hostapd, python-urllib3, and znc), openSUSE (apache2, audiofile, libqt5-qtvirtualkeyboard, php5, and SDL2), Scientific Linux (kernel), SUSE (curl and dovecot23), and Ubuntu (advancecomp and freeradius). The problem of "sustainability" for open-source software is a common topic of conversation in our community these days. We covered a talk by Bradley Kuhn on sustainability a month ago. Another longtime community member, Luis Villa, gave his take on the problem of making open-source projects sustainable at the 2019 Legal and Licensing Workshop (LLW) in Barcelona. Villa is one of the co-founders of Tidelift, which is a company dedicated to helping close the gap so that the maintainers of open-source projects get paid in order to continue their work. Security updates have been issued by CentOS (java-1.7.0-openjdk), Debian (ghostscript and wget), Gentoo (apache, glib, opendkim, and sqlite), Red Hat (kernel, kernel-alt, kernel-rt, ovmf, polkit, and python27-python), Scientific Linux (java-1.7.0-openjdk), and SUSE (php72). Intel's "Software Guard Extensions" (SGX) feature allows the creation of encrypted "enclaves" that cannot be accessed from the rest of the system. Normal code can call into an enclave, but only code running inside the enclave itself can access the data stored there. SGX is pitched as a way of protecting data from a hostile kernel; for example, an encryption key stored in an enclave should be secure even if the system as a whole is compromised. Support for SGX has been under development for over three years; LWN covered it in 2016. But, as can be seen from the response to the latest revision of the SGX patch set, all that work has still not answered an important question: what protects the kernel against a hostile enclave? The Erlang community mourns the loss of Joe Armstrong, known as the father of Erlang. "He was part of the Erlang landscape, always interested in what people had to say. His passion and enjoyment about the craft, even in his 60s, was still high up at levels I don't even know I ever had or will ever have, and I have to say I am envious of him for that. I don't know what it will be like to have this community without him around. He was humble. He was approachable. He was excited. He was creative. His legacy is not just in code, but in the communities in which he instantly became a central part. He will be missed." Security updates have been issued by CentOS (java-1.8.0-openjdk and java-11-openjdk), Debian (clamav, debian-security-support, and drupal7), Fedora (egl-wayland, elementary-camera, elementary-code, elementary-terminal, ephemeral, geocode-glib, gnome-characters, gnome-shell-extension-gsconnect, group-service, libmodulemd, libxmlb, mate-user-admin, mesa, meson, mpris-scrobbler, reportd, switchboard-plug-display, switchboard-plug-pantheon-shell, wingpanel, and wireshark), openSUSE (blueman and glibc), and Red Hat (java-1.7.0-openjdk). Fermilab has maintained Scientific Linux, a derivative of Red Hat Enterprise Linux, for many years. 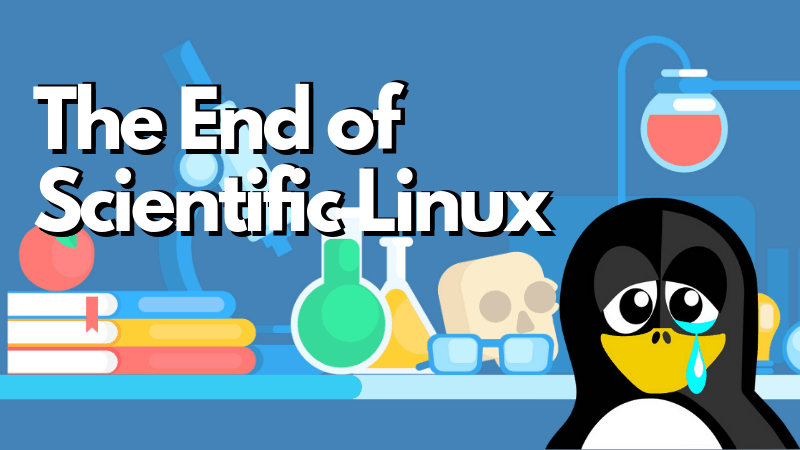 That era is coming to an end, though: "Toward that end, we will deploy CentOS 8 in our scientific computing environments rather than develop Scientific Linux 8. We will collaborate with CERN and other labs to help make CentOS an even better platform for high-energy physics computing." Maintenance of the SL6 and SL7 distributions will continue as scheduled. The election for the Debian project leader has concluded; the leader for the next year will be Sam Hartman. See this page for the details of the vote. The 5.1-rc6 kernel prepatch is out for testing. "It's Easter Sunday here, but I don't let little things like random major religious holidays interrupt my kernel development workflow. The occasional scuba trip? Sure. But everybody sitting around eating traditional foods? No. You have to have priorities." The 5.0.9, 4.19.36, 4.14.113, and 4.9.170 stable kernel updates have all been released. These moderately large updates contain yet another set of important fixes. Like all Unix-like systems, Linux implements the traditional protection bits controlling who can access files in a filesystem (and what access they have). Fewer users, perhaps, are aware of a set of additional permission bits hidden away behind the chattr and lsattr commands. Among other things, these bits can make a file append-only, mark a file to be excluded from backups, cause a file's data to be automatically overwritten on deletion, or make a file immutable. The implementation of many of these features is incomplete at best, so perhaps it's not surprising that immutable files can still be changed in certain limited circumstances. Darrick Wong has posted a patch set changing this behavior, implementing a user-visible behavioral change that he describes as "an extraordinary way to destroy everything". As has been recently discussed here, developers for the filesystem and memory-management subsystems have been grappling for years with the problems posed by the get_user_pages() mechanism. This function maps memory into the kernel's address space for direct access by the kernel or peripheral devices, but that kind of access can create confusion in the filesystem layers, which may not be expecting that memory to be written to at any given time. A new patch set from Jérôme Glisse tries to chip away at a piece of the problem, but a complete solution is not yet in view. Ubuntu 19.04, code named "Disco Dingo", has been released, along with the following flavors: Ubuntu Budgie, Kubuntu, Lubuntu, Ubuntu Kylin, Ubuntu MATE, Ubuntu Studio, and Xubuntu. "The Ubuntu kernel has been updated to the 5.0 based Linux kernel, our default toolchain has moved to gcc 8.3 with glibc 2.29, and we've also updated to openssl 1.1.1b and gnutls 3.6.5 with TLS1.3 support. Ubuntu Desktop 19.04 introduces GNOME 3.32 with increased performance, smoother startup animations, quicker icon load times and reduced CPU+GPU load. Fractional scaling for HiDPI screens is now available in Xorg and Wayland. Ubuntu Server 19.04 integrates recent innovations from key open infrastructure projects like OpenStack Stein, Kubernetes, and Ceph with advanced life-cycle management for multi-cloud and on-prem operations, from bare metal, VMware and OpenStack to every major public cloud." More information can be found in the release notes. 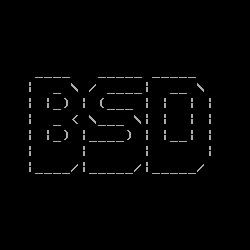 OpenSSH 8.0 has been released with a bunch of new features and some bug fixes, including one for a security problem: "This release contains mitigation for a weakness in the scp(1) tool and protocol (CVE-2019-6111): when copying files from a remote system to a local directory, scp(1) did not verify that the filenames that the server sent matched those requested by the client. This could allow a hostile server to create or clobber unexpected local files with attacker-controlled content. This release adds client-side checking that the filenames sent from the server match the command-line request, The scp protocol is outdated, inflexible and not readily fixed. We recommend the use of more modern protocols like sftp and rsync for file transfer instead." Security updates have been issued by CentOS (polkit), Gentoo (dovecot, libseccomp, and patch), openSUSE (aubio, blktrace, flac, lxc, lxcfs, pspp, SDL, sqlite3, and xen), Red Hat (java-1.8.0-openjdk, java-11-openjdk, and rh-maven35-jackson-databind), Scientific Linux (java-1.8.0-openjdk), Slackware (libpng), SUSE (python, python3, sqlite3, and xerces-c), and Ubuntu (ntfs-3g).